Realme has established itself in the country over the last few months by launching affordable smartphones with excellent features and specifications, that no other OEM offers. 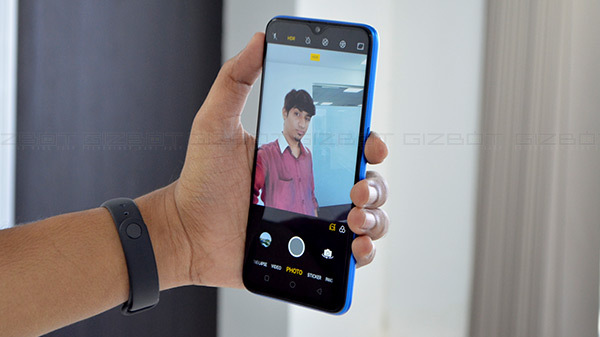 The Realme U1 is the latest product from Realme, which does look similar to the Realme 2 Pro, but offers a unique set of features, which differentiates itself from the Realme 2 Pro. The Realme U1 is created for those, who are looking for a device with selfie centric features. Here is the full review of the latest endeavor from Realme, the Realme U1 with 4 GB RAM and 64 GB internal storage, which retails for Rs 14,449. The Realme U1 looks and feels precisely similar to the Realme 2 Pro with different color shades. The Realme U1 looks like a smartphone, which is made out of glass, which is made using translucent polycarbonate with polycarbonate mid-frame. Due to the physical properties of polycarbonate, the back case is prone to scratches, which can be minimized by using a soft-silicon case, which comes in the retail package. The phone does offer a premium in-hand feel due to the polycarbonate back with a new blue color shade, which might appeal to the young generation. The back case houses the dual camera setup with a 13 MP primary RGB sensor and a 2 MP depth sensor. The fingerprint sensor is also on the rear panel, which is an active fingerprint sensor. Coming to the front-side of the phone, the Realme U1 offers a big screen with a minimal amount of bezels, which makes the Realme U1, one of the best-looking smartphones under Rs 15,000 price point. There is no denial in the fact that the Realme U1 comes with a best-in-class display, especially for those who are into the concept of full-screen user experience with minimal bezels. The phone has a 6.3-inch IPS LCD screen with a native resolution of 2340 x 1080p with 19.5:9 aspect ratio, protected by 2.5D curved Corning Gorilla Glass 3. In fact, from the front, the Realme U1 looks similar to the other premium mid-tier smartphones like Oppo F9 Pro or even the OnePlus 6T with a 90.8% screen to body ratio. The Realme U1 uses an LTPS IPS LCD panel, which offers an impressive viewing angle with excellent color reproduction, which is only a step behind the OLED panel. The phone does support auto-brightness, which automatically switches between different brightness levels based on the external environment. However, we felt short of brightness, especially while using the smartphone under direct sunlight. As we speculated, the smartphone does not have Widevine L1 certification, which will limit the video streaming capability to 540p on premium streaming platforms like Amazon Prime Videos and Netflix. However, the smartphone can play full-HD videos on YouTube and Facebook without any issues. This is a smartphone made for multimedia consumption, and the smartphone is ahead of the competition for the most part, due to the high-resolution screen with a higher screen to body ratio. The Realme U1 has a 25 MP front-facing selfie camera on the front and a dual camera setup on the back with a 13 MP (f/2.2) primary sensor and a 2 MP (f/2.4) depth sensor. The primary camera setup is a letdown compared to the Realme 2 Pro, as the Realme 2 Pro has a much superior sensor with a wider aperture. The main camera does offer portrait mode, which does work for both human and non-human subjects. In daylight situations, the primary camera captures images with a right amount of details if the HDR is enabled. Photos taken on a non-HDR settings looks washed out and lacks details. One more caveat with the primary camera setup is the fact that the smartphone can only record a maximum resolution of 1080p videos @30fps. As expected, the front-facing camera offers a significant leap compared to the Realme 2 Pro. The 25 MP sensor with an f/2.0 aperture can capture bright and vivid selfies, and the AI mode will improve the scene and the face beauty. The smartphone takes interesting selfies, especially in daylight condition, and the HDR will further enhance the picture quality. This is one of the few smartphones which offers timelapse for the front-facing camera, which will help to record amazing portrait videos of yourself using the selfie camera. Even the video recording for the selfie camera is capped at 1080p @30fps. Overall, the selfie camera experience is better than other smartphones under Rs 15,000. If you are looking for a smartphone with a good selfie camera, then the Realme U1 could be the smartphone that you are looking for. Thanks to the MediaTek Helio P70, the Realme U1 is blazing fast. The smartphone crushes most of the smartphones in the segment in both CPU and GPU performance, at least on the 4 GB RAM model. The MediaTek Helio P70 is an Octa-core processor based on the 12nm fabrication processor, which offers better performance and power efficiency compared to the Realme 2 Pro, which is powered by the Qualcomm Snapdragon 660 AIE (manufactured using 14nm fabrication). The Helio P70 does come with an APU (Artificial Intelligence processing unit), which will further enhance the performance of the smartphone by a great extent. If we look at the benchmark scores from Geekbench and AnTuTu, the device is a leap ahead of the Realme 2 Pro, Redmi Note 6 Pro, and the Asus ZenFone Max Pro M1. The Realme U1 scores 1557 points on a single core and 5973 points on multi-core performance on Geekbench, whereas the Realme 2 Pro scores 1439 points on a single core and 5483 on multi-core performance. The difference between the CPU performance of the Realme U1 and the Realme 2 Pro is very minimal, and one might not notice a difference in the real world usage. However, when compared head to head, the Realme U1 is the better of the lot. Same goes with the AnTuTu benchmark as well, the device scores a whopping 144761 points on AnTuTu, whereas the Realme 2 Pro scores 114335 points on AnTuTu with a 30% improved overall performance. Coming to the real-world performance, the Realme U1 can handle any game that you throw at it. We tried playing PUBG, one of the highly demanding online multiplayer game with HD and high-frame-rate settings. Running PUBG at settings will re-affirms the GPU performance that the smartphone offers. The Realme U1 also comes with Realme Gaming Space, which will offer Graphics acceleration to improve the overall gaming performance. Even with the continues gameplay, the smartphone does get pretty warm, which does cool down in less than 5 minutes. The ARM Mali-G72 GPU can handle most of the games and apps that an Android ecosystem offers. The Realme U1 is definitely one of the best gaming smartphones under Rs 15,000 price point. The Realme U1 comes with a well baked Android 8.1 Oreo with ColorOS 5.2 skin on top. The ColorOS is a custom skin from Realme/Oppo, which offers an iOS-like user experience. The OS also comes with a bunch of 3rd party apps or bloatware and some of those apps can be uninstalled with a single click. The overall user experience is similar to other Oppo/Realme smartphones with minimal bugs or errors. However, the options offered in the settings menu might confuse someone especially for those who are coming for a stock Android smartphone. In fact, the entire camera settings are hidden in the main settings menu, which is a bit unusual, especially on an Android smartphone. There is a provision to apply custom wallpaper and themes to customize the smartphone based on users interest. The smartphone will receive Android 9 Pie update with ColorOS 6 update in the near future. However, as of now, there is no information on time frame about the Android 9 Pie software update. The smartphone comes with a 3500 mAh Li-ion battery with a micro USB port for charging and data syncing with 10W standard charging capability. The device takes from 2 to 2.5 hours to charge from 0 to 100% using the original charger. The Realme U1 offers an amazing battery life, and the battery can easily last up to 1.5 days to 2 days on a single charge for regular users. However, if you are a gamer, then the battery life will take a hit, and will offer up to a single day of usage. We felt that the company could have included fast charging with a USB type C port. The smartphone has a dual SIM card slot with a dedicated micro SD card slot for additional storage expansion. 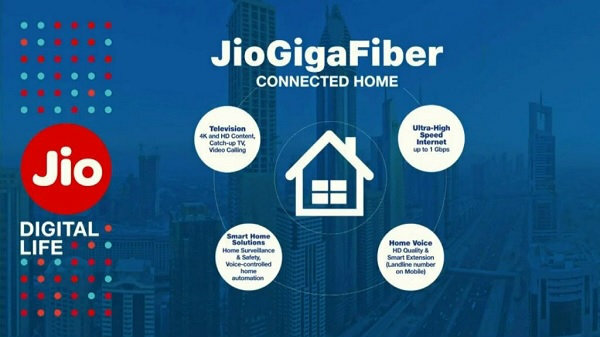 The device does support dual 4G LTE and VoLTE, where users can use two 4G SIM cards simultaneously. The phone does support dual-band Wi-Fi (2.4 GHz and 5.0GHz) with Bluetooth 4.2. With respect to security, the smartphone does offer a rear-facing fingerprint sensor and also support Face Unlock. The fingerprint sensor is pretty quick to recognize the finger, and the Face Unlock also works properly. As the Face Unlock uses the selfie camera, it is not as secure as a fingerprint sensor, and one can easily hack the Face Unlock system with an image or a model. The Realme U1 is a great mid-range smartphone, especially under Rs 15,000 price point. However, there are some voids, which makes it the not-so-perfect smartphone. Here are the things that Realme should fix with the next generation Realme U smartphone. The Realme U1 is a great smartphone, though the smartphone is touted as a selfie-centric smartphone, we feel that the Realme U1 is more of a performance smartphone, with amazing gaming and multi-tasking performance. 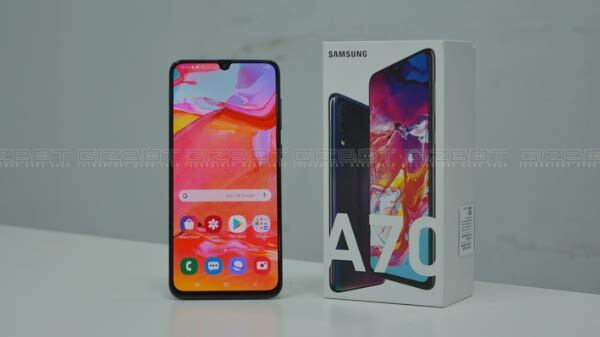 The phone offers impressive battery life, dual 4G LTE and VoLTE connectivity, a dedicated microSD card slot, and a big display with a tiny notch. This is a smartphone for those, who are looking for a for multimedia consumption, gaming, and a selfie-centric camera. This smartphone will be competing against the likes of the Xiaomi Redmi Note 6 Pro, Honor 8X, and the Asus ZenFone Max Pro M1. Finally, a great smartphone with a fantastic performance.